You are here: Home / Podcast / How Do Muscles Grow? Working out with weights causes muscles to adapt and grow, this is nothing new. 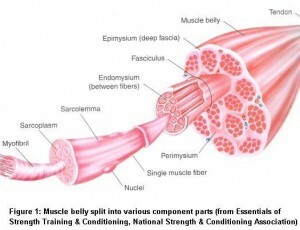 The pattern of muscle growth however is not as obvious as we might have thought. Most people think you train a muscle and the entire muscle simply gets bigger in a uniform and evenly spread out way…but this is a false assumption. New research is showing that muscles do not grow in a uniform pattern, in fact research is showing certain areas or ‘chunks’ of the muscle grow to a greater degree than other ‘chunks’. And this is just the short list. In the UNCENSORED audio program named “Non Uniform Muscle Adaptation – How Do Muscles REALLY Grow?”, released today, we review the latest research on muscle adaptations to strength training and determine how much or how little of a muscle we can really activate while working out and what is necessary for maximum muscle growth. We also look into the research that the same muscle does not grow at the same rate from top to bottom and we may indeed be able to change the ‘shape’ of a given muscle group if we know how to active the entire muscle.